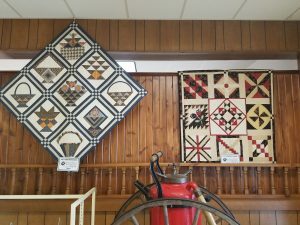 In May, I had the pleasure of spending a day exploring Shipshewana, a town in the heart of Amish country in IN. 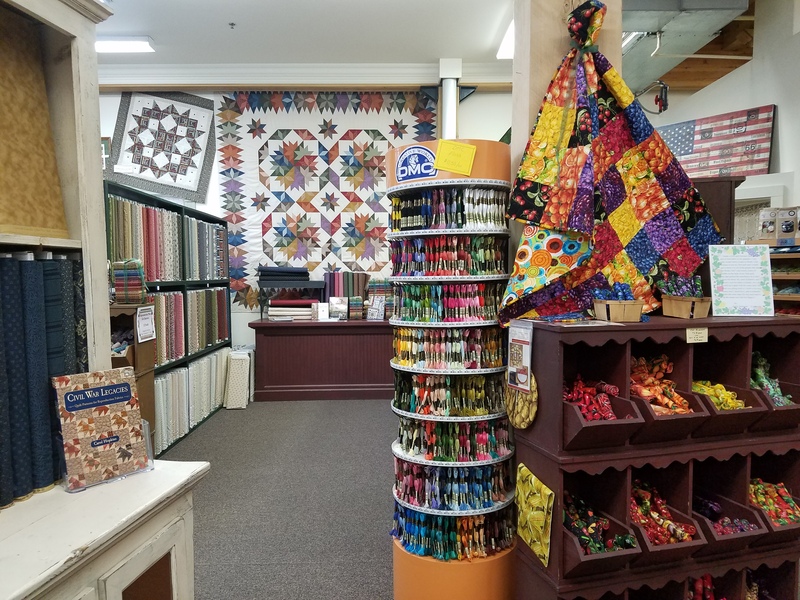 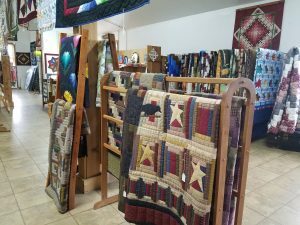 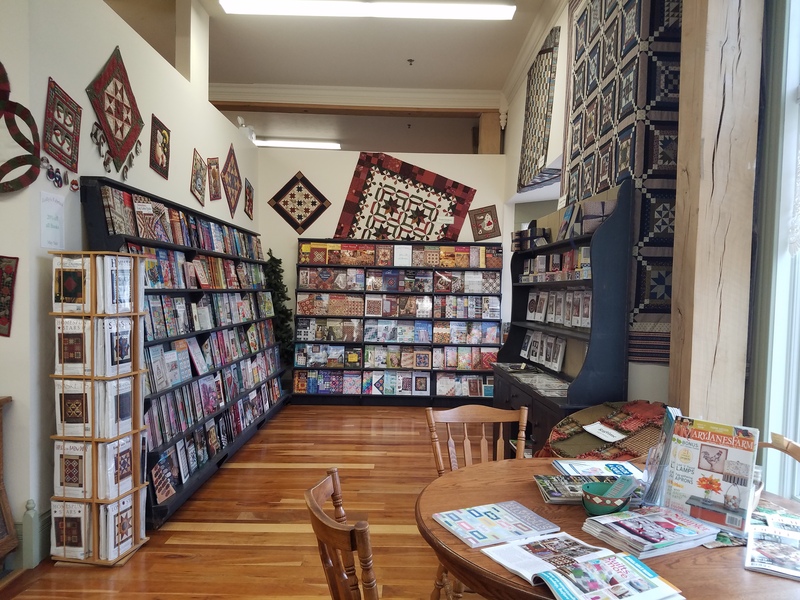 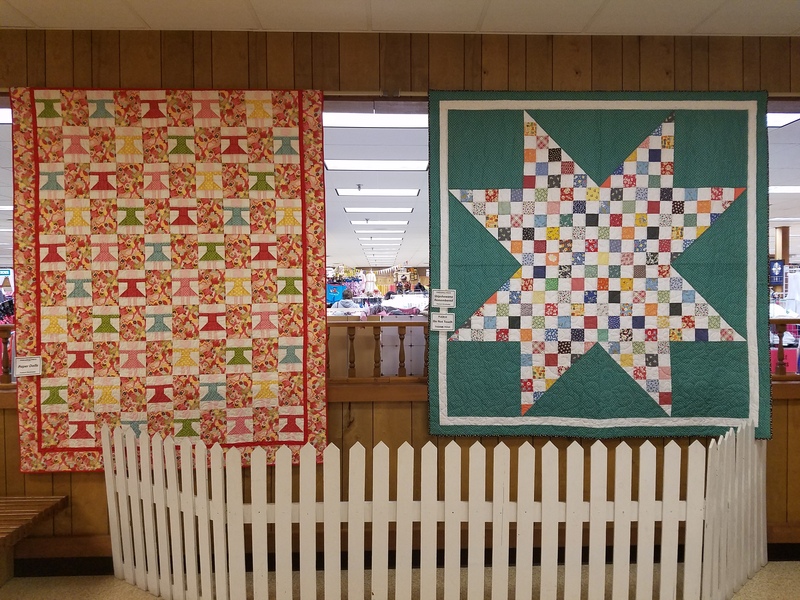 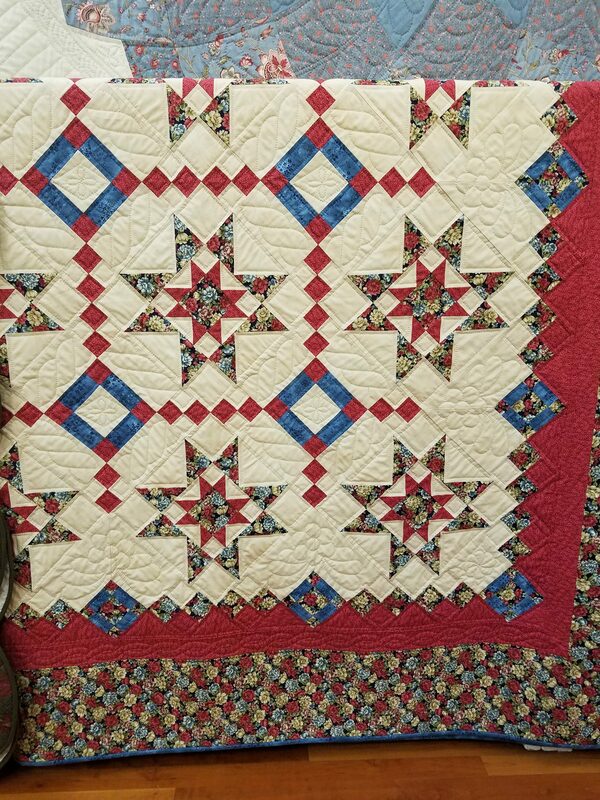 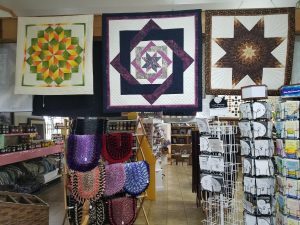 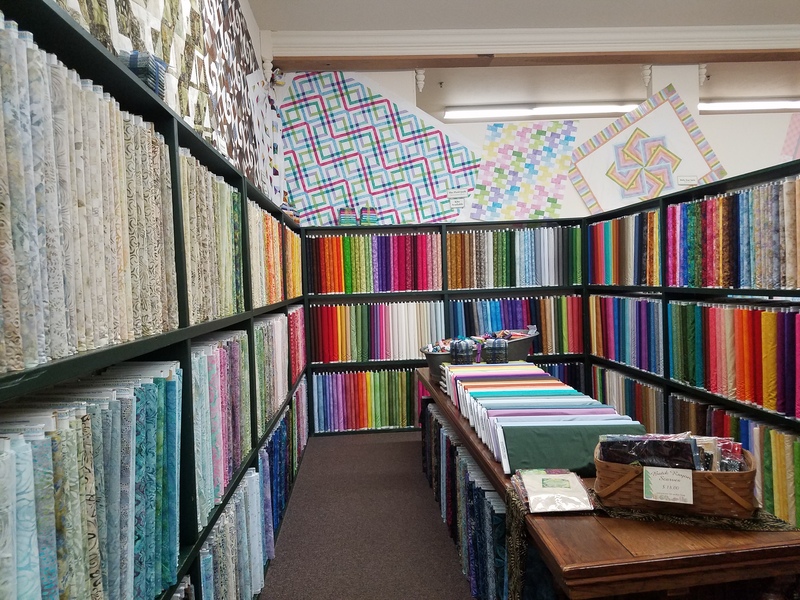 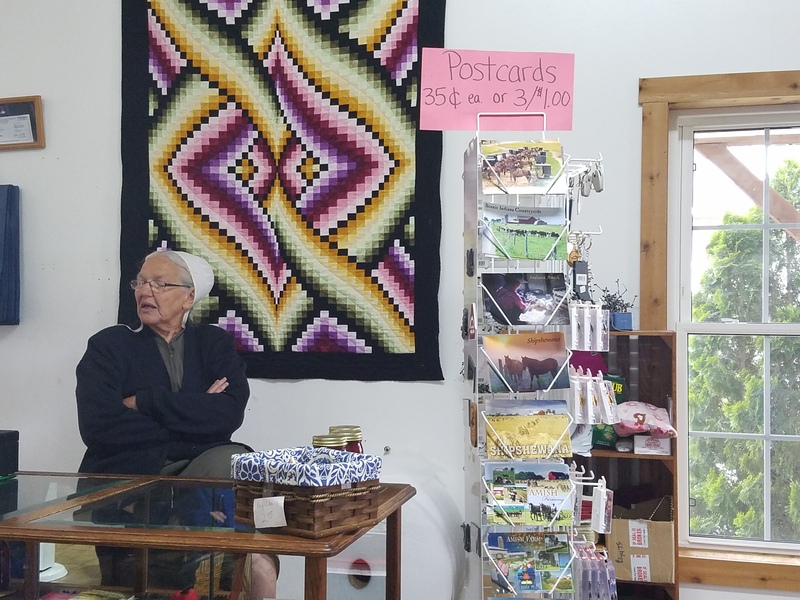 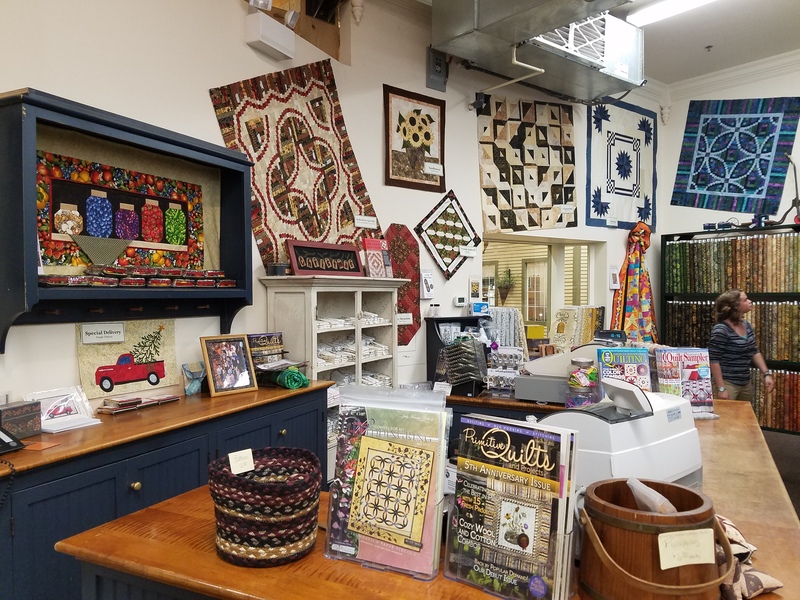 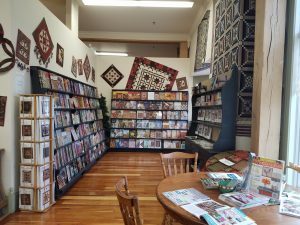 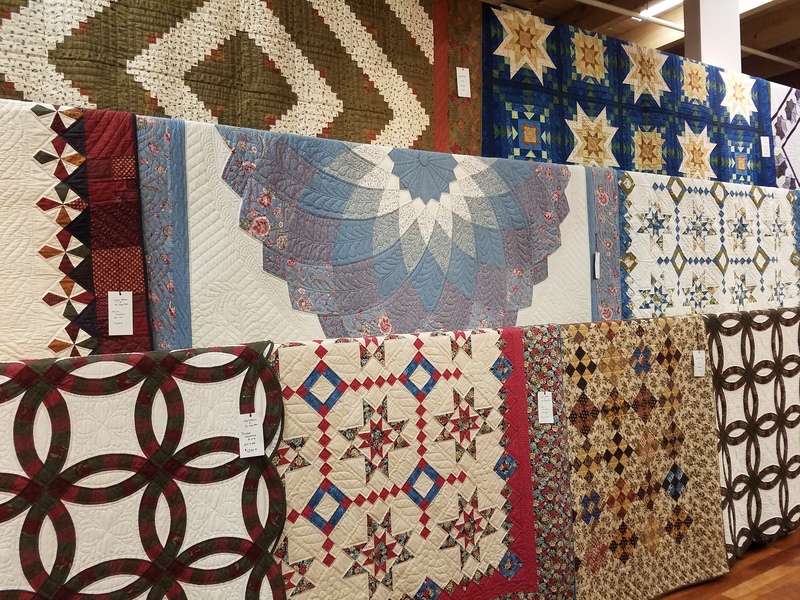 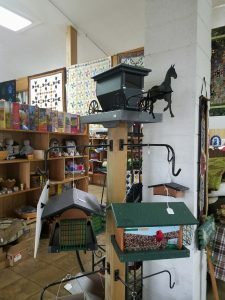 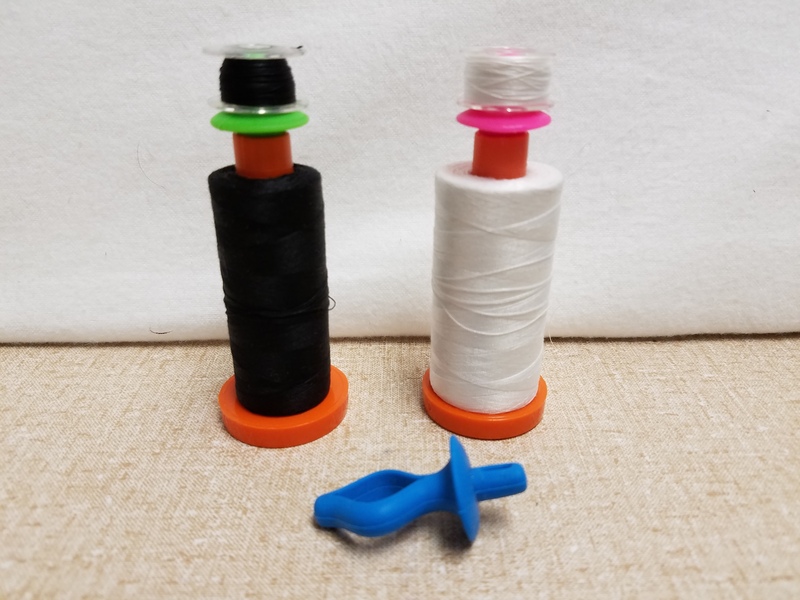 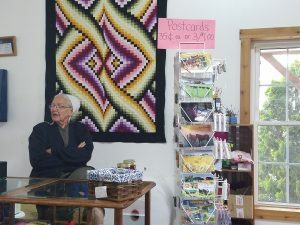 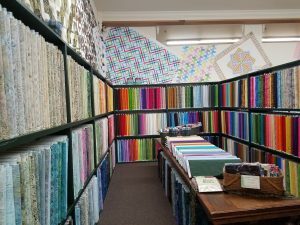 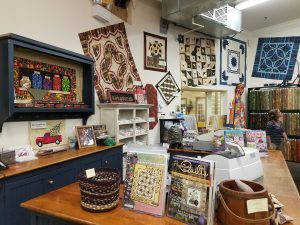 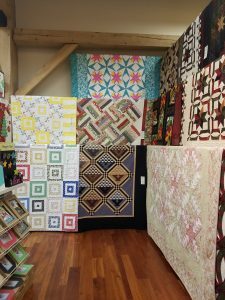 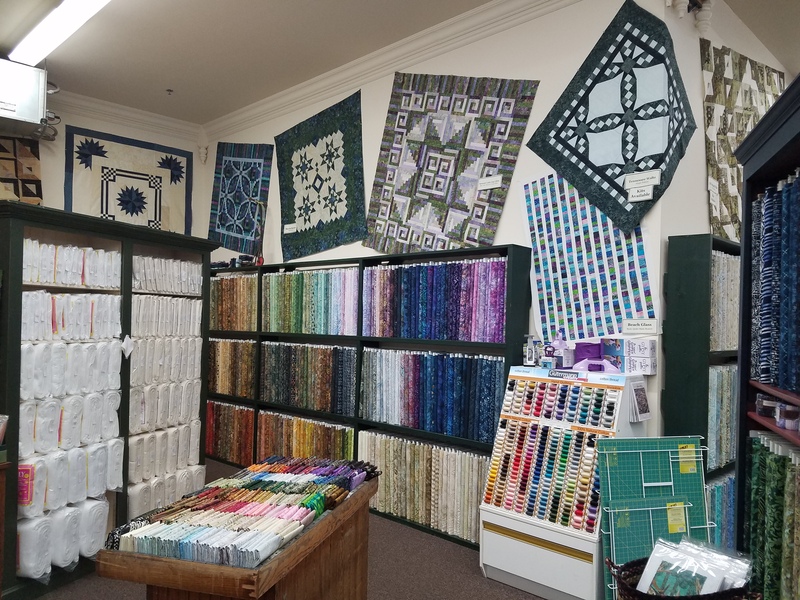 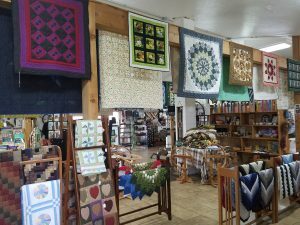 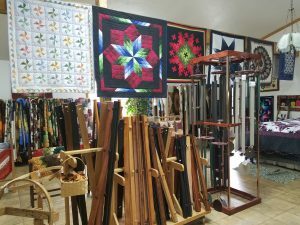 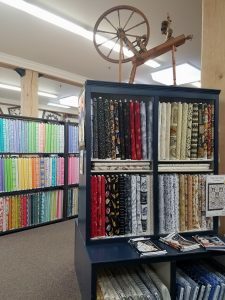 We particularly enjoyed our visit to the Little Helpers Quilt Shop which boasts a large variety of Amish hand-made crafts including beautiful quilts, rugs, jams and jellies, baskets, bird houses, pillows, mail boxes and more. 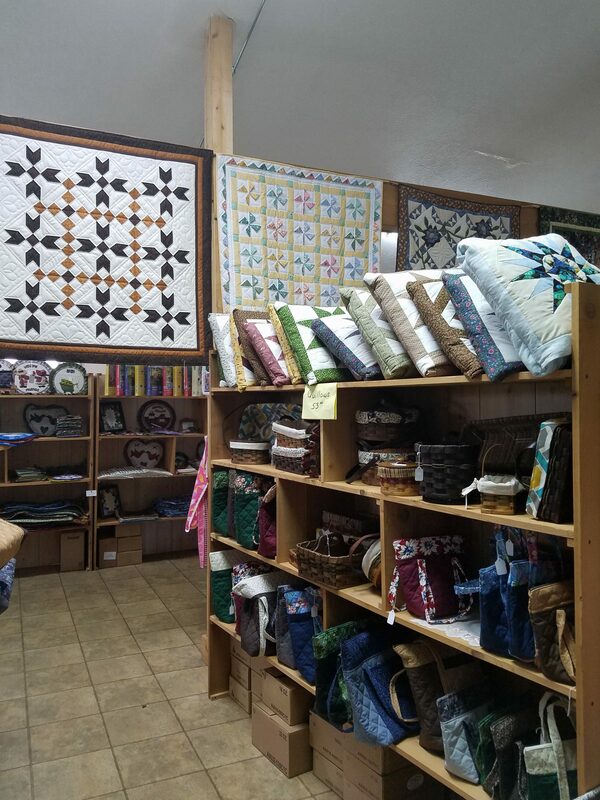 The store is located at 1,030N 1,000W on the outskirts of Shipshewana. 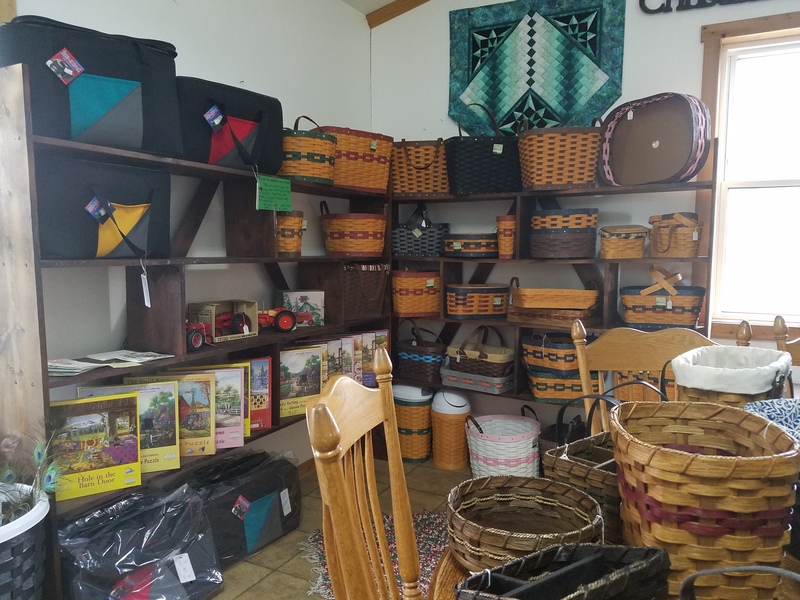 If you are in the area, allow plenty of time to take a good look in this wonderful store. 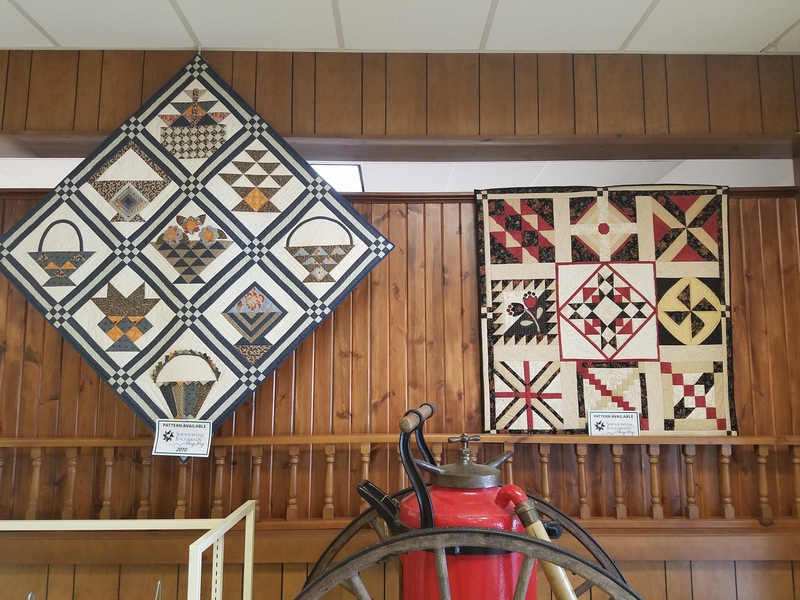 The Amish lady in the store gave me permission to take photos and to post these so that you can have a virtual tour. 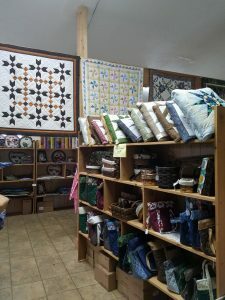 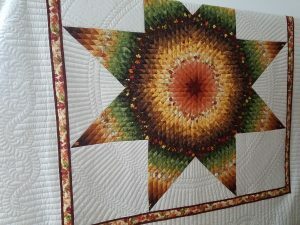 The bed was piled high with beautifully made quilts all hand-quilted and there were quilts hanging all over the store. 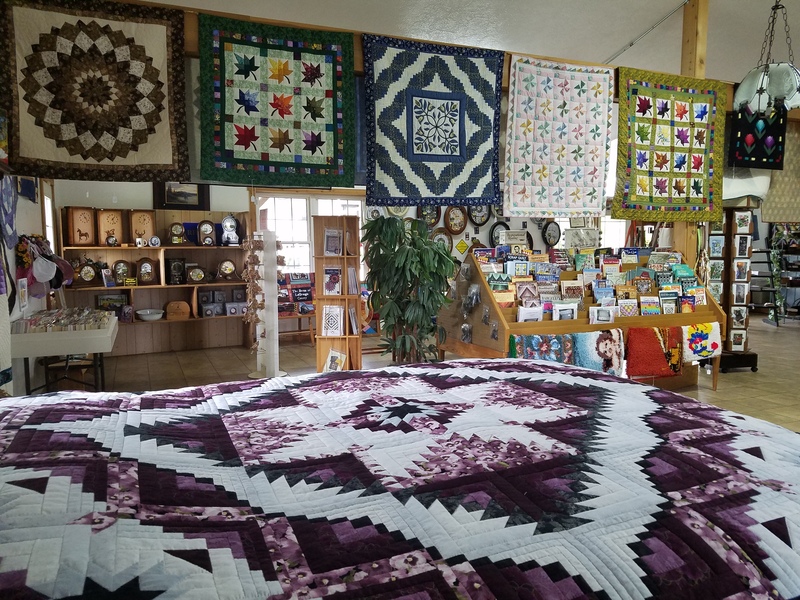 If you ever decide to purchase a traditional bed quilt, the choice here is fantastic and the workmanship outstanding. 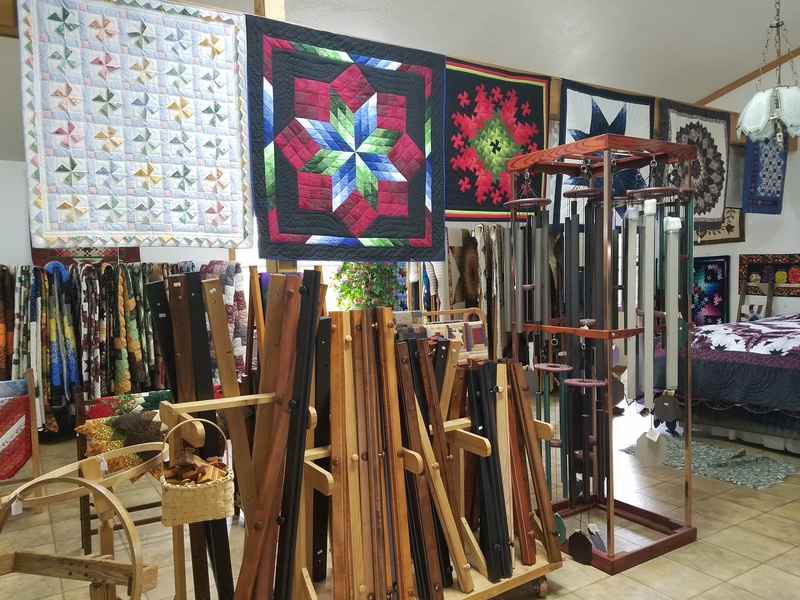 As well as quilts, there were quilt racks and wooden quilt hangers. 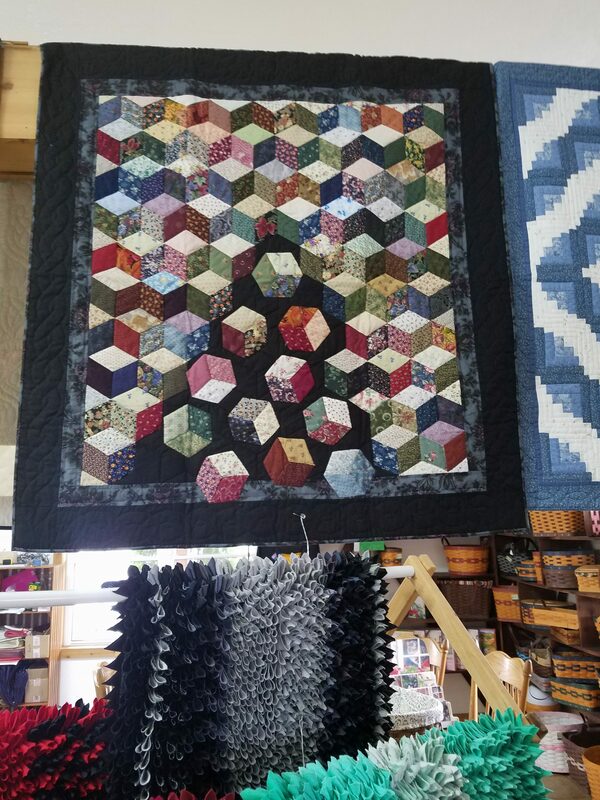 I loved this Tumbling Blocks quilt with the blocks falling away at the bottom. 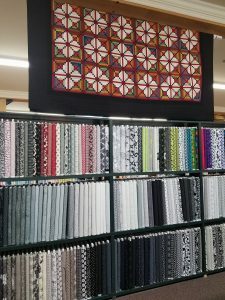 On the shelf are lovely quillows which are pillows that unfold into quilts. Finally, here’s a sampling of baskets and birdhouses. Altogether a delightful stop on our outing. 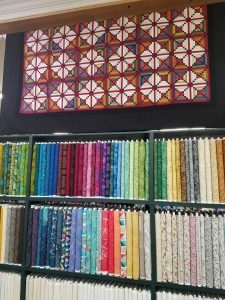 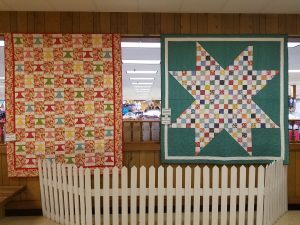 In May, I had the good fortune to visit the Amish town of Shipshewana while staying with a friend prior to teaching at the Village Quilters of Lake Bluff/Lake Forest. 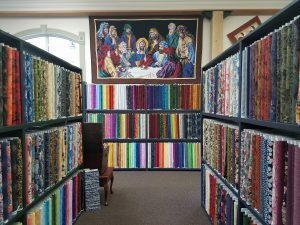 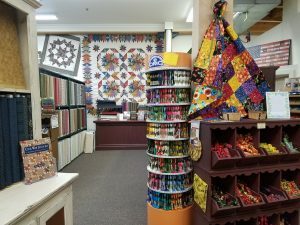 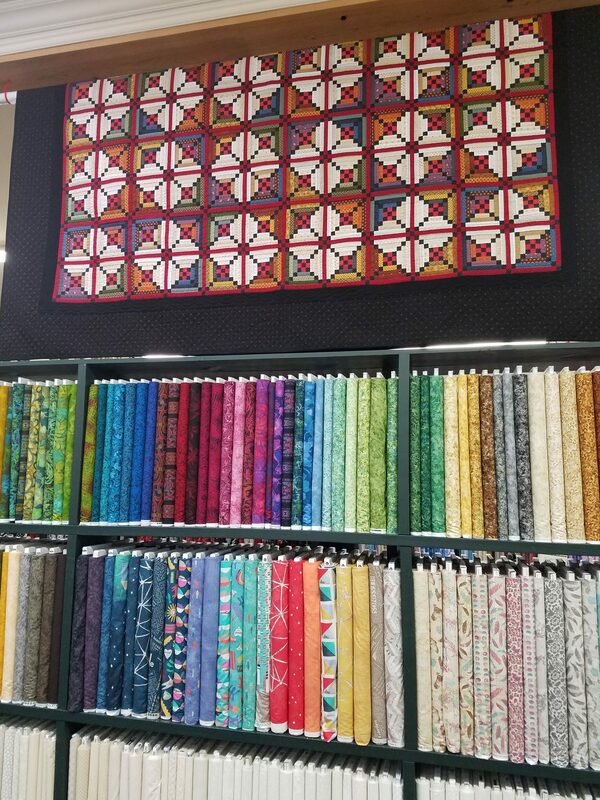 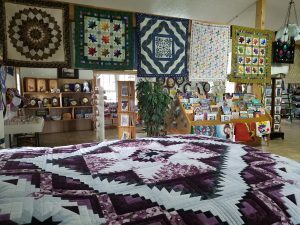 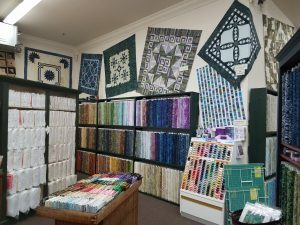 This town is a quilter’s Mecca and boasts two enormous stores selling quilting supplies as well as many other selling gorgeous hand-quilted quilts. 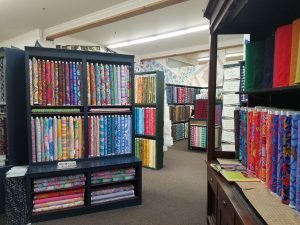 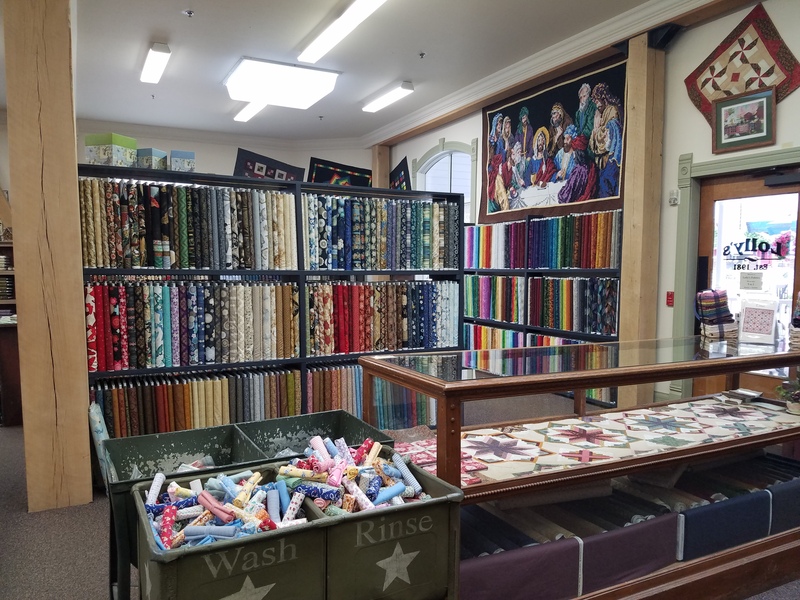 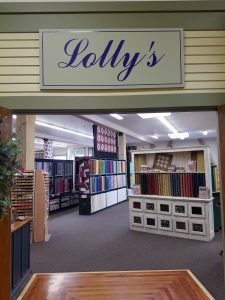 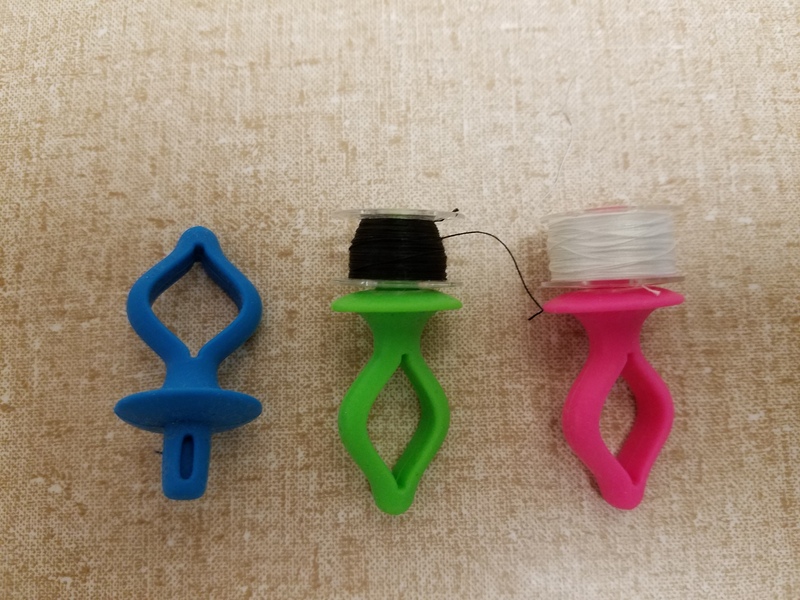 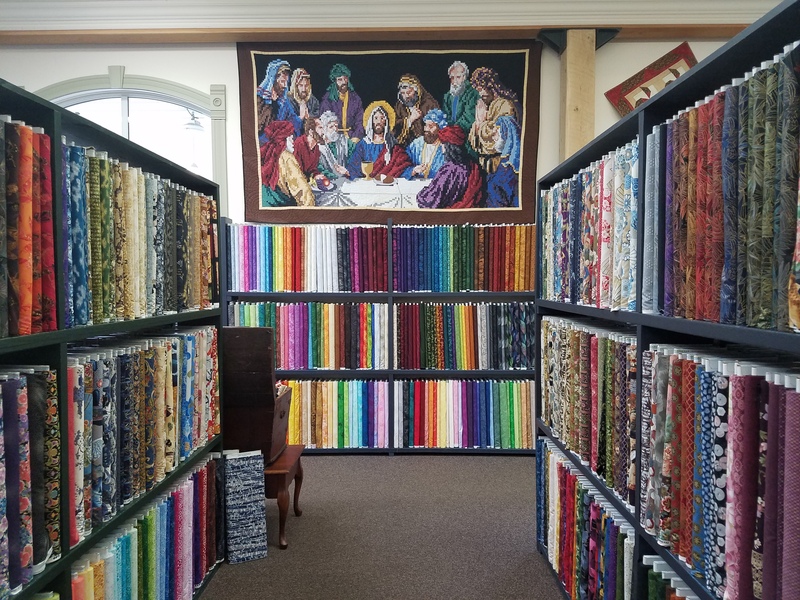 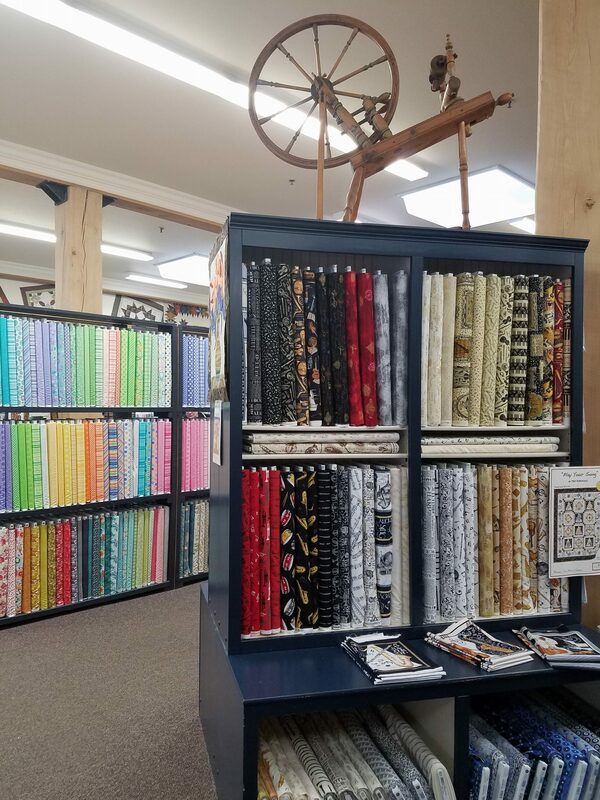 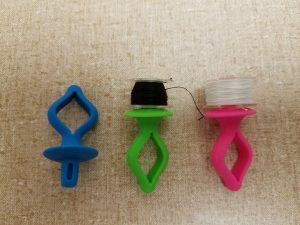 Here’s a pictorial tour of Lolly’s Fabric Store. This is a beautiful, well-lit store carrying around 13,000 bolts of fabric, quilting tools, book and patterns. 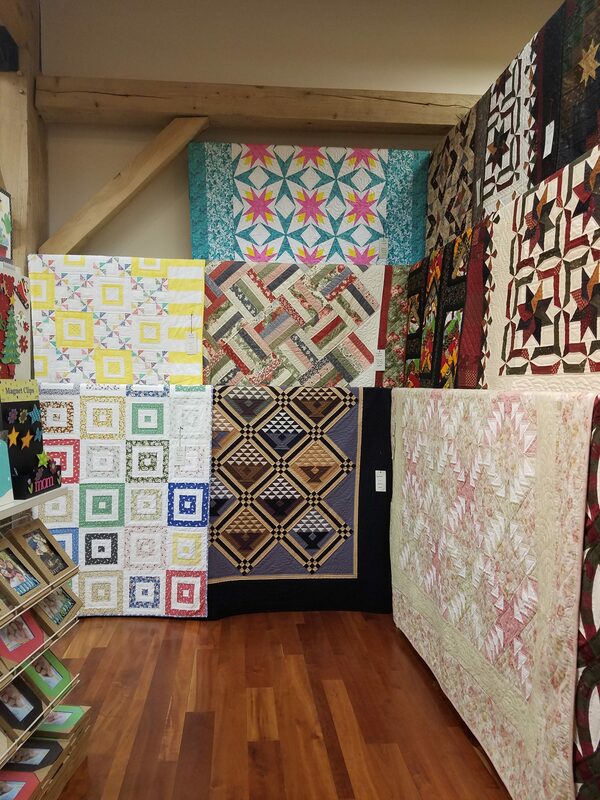 Look at the wonderful quilt samples hanging on the walls too. As you can see, this store is well-worth visiting and you will find a wealth of enjoyable places in Shipshewana, the heart of Indiana Amish country.